You probably heard lots of stories about the famous Cape Horn; but going around it yourself now that’s exciting. 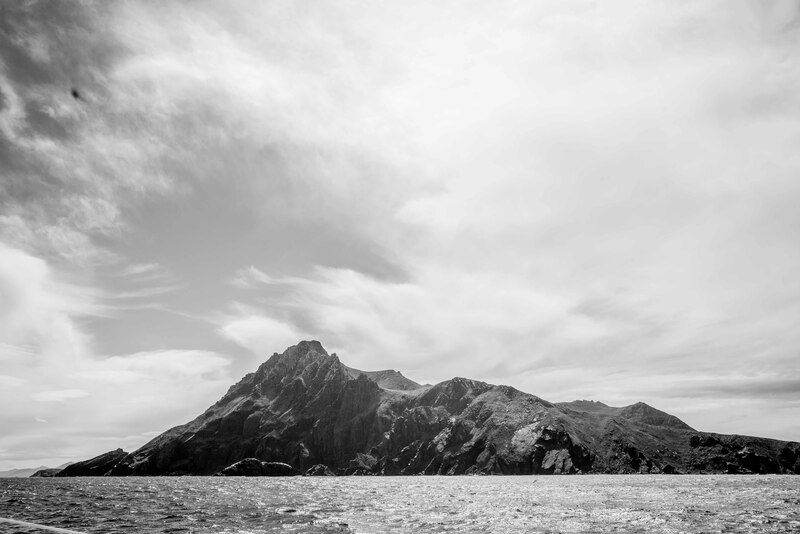 It could be a sunny, rainy or windy trip, but sailing the Cape Horn is always an adventure. Most people come for the Cape Horn, but lots of them are surprised and amazed by the exploration of Chilean glaciers! The Darwin mountains bring the beauty and the magic out of Terra del Fuego. That’s why we spend more than half the cruise in this region, to discover the unexpected! 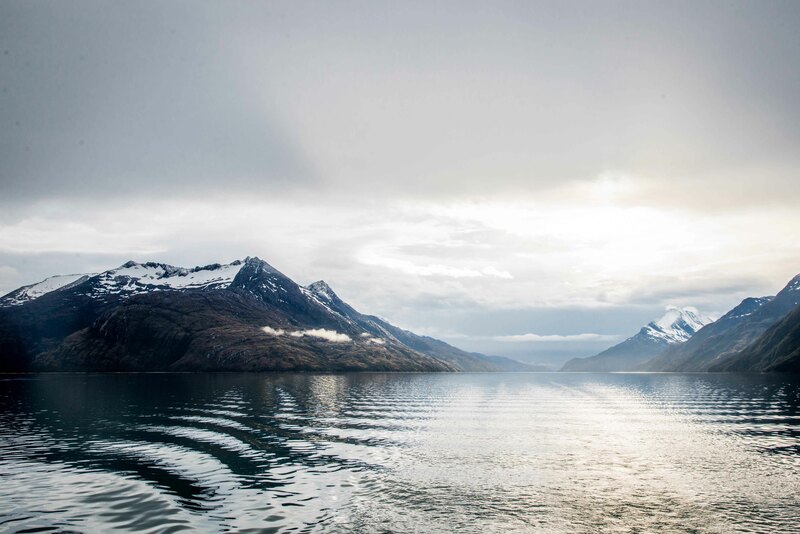 Venus offers a itinerary with diversified views: from Cape Horn to the Chilean Glaciers where every day sounds like paradise. Before departure : You come aboard Venus the day before departure to have some time set up and meet the team. First evening in a good restaurant in Ushuaia. 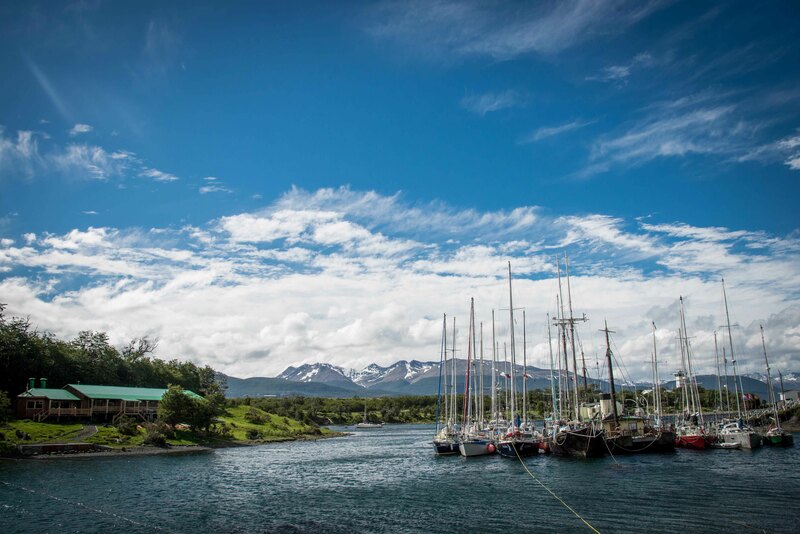 Day 1 – Ushuaia – Puerto Williams : After customs, we cross the Beagle canal to the great little town of Puerto Williams. Day 2 – Puerto Williams – Puerto Toro : Short navigation to Puerto Toro, the south-most village on earth! Day 3 – Puerto Toro – Caleta Maxwell : A great sailing day to cross Bahia de Nassau and reach the Cape Horn archipelago. If you feel like hiking a little bit, there is an amazing view straight up from the mooring. Day 4 – Caleta Maxwell – Cape Horn – Caleta Martial : Today is the day! We usually cross the Cape Horn with good winds and finish the day at Caleta Martial and its great sandy beach. Day 5 – Caleta Martial – Caleta Lennox : From Hersell Island, we cross Bahia the Nassau again and continue north to Lennox island. Usually, there are lots of dolphins on the way! Day 7 – Puerto Williams – Caleta Eugenio : We start the second part of the cruise: the Chilean glaciers. First stop at Dumas Peninsula where the mountains reach 2000 meters. Day 8 – Caleta Eugenio – Caleta Olla : Today we see the first glaciers! Caleta Olla is a real paradise for sailboats and offers a great varieties of hiking with overview of glaciers. Day 9 – Caleta Olla – Seno Pia : Seno Pia, one of the greatest place to discover on a boat, lots of glaciers fall into that fjord. The colors and sounds of glaciers are impressive! Day 10 – Seno Pia – Caleta Cinco Estrellas : We go back out of Seno Pia to moor in Caleta Cinco Estrellas. This place is so peaceful and has great hiking to enjoy the view over Darwin mountains range. Day 12 – Caleta Coloane – Estero Fouque : We continue the cruise to the fjord Fouque, it’s very unlikely that we meet anyone here except seals and glaciers! Discover the secrets of Fouque! 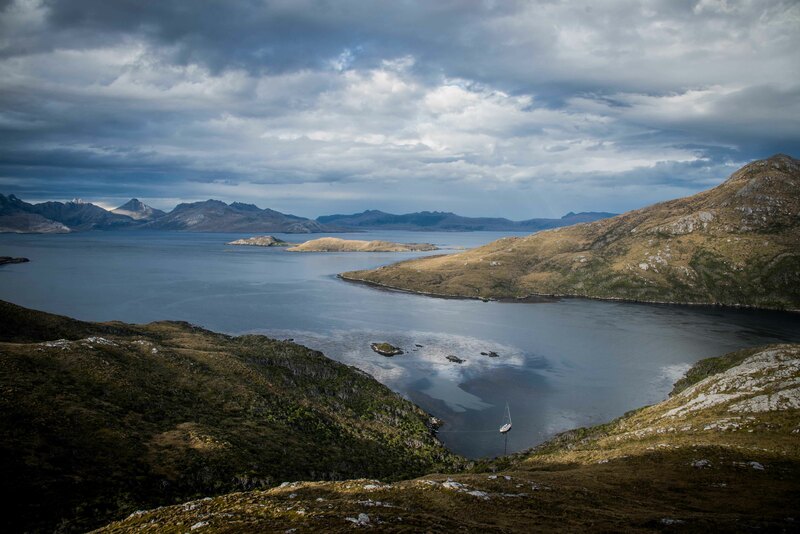 Day 13 – Estero Fouque – Puerto Williams : Long navigation with good winds to reach back Puerto Williams. Enjoy a Calafate Sour (local drink) at the famous Macalvi Pub! Day 14 – Puerto Williams – Ushuaia : Last day to go back to Ushuaia. The chance to exchange pictures and memories and enjoy the last diner together at the restaurant!